Home » Davinci Labs BEHAVIOR BALANCE DMG LIQUID 12 fl oz. 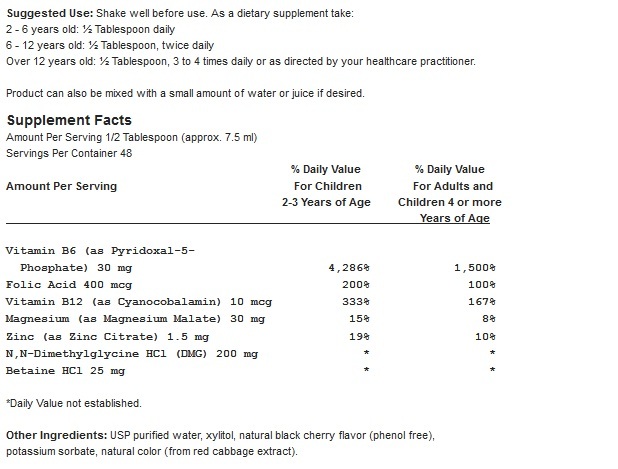 Over 12 years old: ½ Tablespoon, 3 to 4 times daily or as directed by your healthcare practitioner. Product can also be mixed with a small amount of water or juice if desired.